The revolutionary RVL Advanced Hair Care System includes a cleansing shampoo, scalp serum and hydrating leave-in conditioner, all with dermatologist developed HPT-6™, a Jeunesse exclusive polypeptide technology that works to create the perfect shine and flexibility. Designed with all hair types in mind, our RVL Ultra Refining Shampoo, RVL Scalp Infusion Treatment and RVL Multi-perfecting Leave-in Conditioner are uniquely formulated to help hydrate hair while building strength from within and promoting the look of thicker, fuller hair. 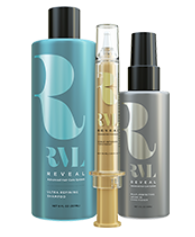 Reveal your best hair with RVL, a luxury at-home hair care system that would just as easily be at home in the world's most exquisite salons. 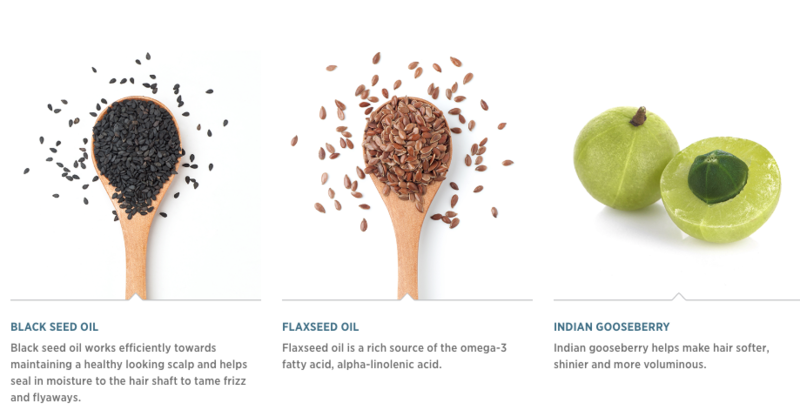 Infused with Jeunesse exclusive HPT-6™ - a revolutionary polypeptide technology - and botanicals like fenugreek, flaxseed oil and jojoba oil, RVL blends the finest of science and nature. Uniquely formulated, each product works to help gently revitalize the appearance of your hair and scalp for fuller looking hair. The invigorating citrus scent of the RVL collection has a hint of clarifying eucalyptus for an alluring and uplifting experience.